The Hubertushaus is well-known for their exquisite European and Canadian cuisine, and the venue also offers a location to host an indoor or outdoor wedding with a rustic charm. The large property boasts a pond, fountain and forest which provide a romantic and picturesque setting situated close to the city. 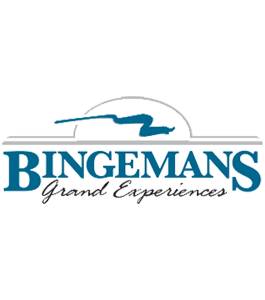 Staff at the Ring sat down with Jen Schilling to learn more about what this venue has to offer couples. 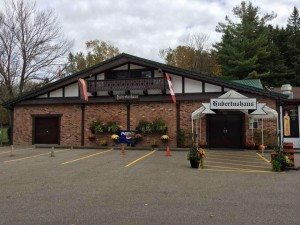 Nestled on seven acres of countryside on the outskirts of Mannheim, Ontario, Hubertushaus began as a German-Canadian social club in 1954. Soon after opening, club members began asking to host weddings and other celebrations and guests at these events were so impressed, that the clubs reputation grew. “Outside rentals give non-members an opportunity to enjoy Hubertushaus,” says Jen Schilling. Surrounded by trees, a picturesque pond and fountain, Hubertushaus offers a natural setting for both ceremonies and receptions. Guests have lots of space to mingle or step away for a private moment. According to Jen, the key players are the hall manager, the hall marketing director and the entire membership who all contribute to keeping the venue up and running and looking its best. “Our hall manager takes care of the decorations, food and the bar. They are incredible and always go above and beyond to make sure that everyone’s day is special and personalized,” says Jen, adding that their hall manager has been involved with weddings for many years. “We love getting to share our venue, which is like our second home with others and have it become and intrinsic part of their special day,” admits Jen. Kerry Mullen calls the Hubertushaus a hidden gem. “It’s such a lovely property, which was a huge draw for us,” says Kerry. “To have everything all at the same spot – a lovely place for the ceremony, reception and pictures. It was so private and quaint – a truly perfect place for our special day.” Kerry and her fiancé said “I do” in front of the pond, but they had peace of mind knowing that if the weather turned, the venue could accommodate an indoor ceremony. Helen Beilstein chose Hubertushaus because of the cost as well as the size and versatility of the venue. Just like Kerry, Helen was thinking ahead and wanted a backup plan for an indoor wedding in case it rained, but the weather held and Helen and her fiancé were married by the pond with the fountain in the background. Helen calls Hubertushaus’ style as almost whimsical and rustic, but also chic. The inside hall is ideal for smaller groups from 40 to 150 people, while the covered patio can accommodate 250 to 300 guest. The patio is a post and beam structure that offers an open view overlooking the pond. The venue can also accommodate a wedding tent that is situated on the large picnic grounds that is surrounded by trees. Having hosted over 150 weddings, Jen believes that brides choose Hubertushaus because of the value of the services that the venue has to offer. Saturday weddings that are a combination of the venue’s European and Canadian cuisines are the most popular according to Jen. Kerry says the pricing was very reasonable and everything went smoothly. To learn more about Hubertushaus, contact Jen Schilling directly by email using the form below. 🙂 You can also visit Hubertushaus online at www.hubertushaus.ca.